Fractures of the bones of the elbow – the radius, ulna and the humerus – include a broad range of combinations and severity. 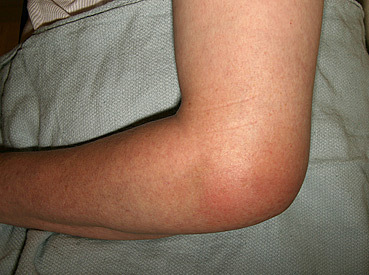 Falls while bicycling, skiing, snowboarding, BMX, skateboarding (full pipes more than street courses) and in-line skating put the elbow at risk when the outstretched arm is used to protect the athletes face or spine. Treatments range from sling immobilization to complex reconstructive surgery of the bones and ligaments. Subsequent physical therapy is the norm.